The IMA will once again be providing a lineup of educational sessions for ecommerce sellers at the ASD show in Las Vegas. The show, which is being held from August 4th – August 7th at the Las Vegas Convention Center is a terrifice sourcing opportunity for many ecommerce sellers as well as providing much needed (free) quality education. We look forward to see many of our IMA members (and ASD attendees) at the classes! When we are an ecommerce business, we tend to think of being found online only. Fortunately for us, there are other ways that customers might find out about our business and help us grow! See how your business rates on each – and which ones you can improve on. SEO – Also known as search engine optimization – it’s the process of getting your web site found by the search engines. Take a few of your business keywords and plug them into the search engine. Are you on page 1 or page 21? If you are not on page 1, chances are you are not being found by most people. PAID SEARCH – On Google, the ads you see on the very top and on the right of the results page are paid advertisements. Most small businesses find they burn through a ton of cash before they figure out what makes sense for their business. Many businesses (with a strong web site and strong SEO efforts) may even find they don’t need to advertise on the search engines. Find out what works for your business. LOCAL RESULTS – All of the major search engines place a lot of emphasis on providing relevant local results. Even if you don’t have a storefront, you may find that it is very valuable to get your business address into the search engines. This is particularly true for niche markets where there is not as much competition. SOCIAL MEDIA – Sites like Facebook, Twitter and Pinterest can help people find your business. The secret is finding out which one works the best for your particular niche and brand. It’s smart to try a few and figure out which sites give you the best ROI. Not every business is going to do well on Facebook! Are you active in your local community? Do you sponsor any local club or events? Do you belong to any local organizations such as your town’s Chamber of Commerce? These are all ways to help promote your business and get the word out about you. Consider sponsoring a little league team or high school football band. They are all looking for sponsors and often will have print programs and/or banners that will get your business name some exposure. Offline advertising can be very effective even for online only businesses. Consider traditional media such as yellow pages, directories, radio and TV. Does your product line lend itself to a catalog format? Building a mailing list for catalogs can be another means of promotion and sales. Of course with a web site, you should have an email marketing campaign for little or no cost but supplementing it with a traditional mail campaign might work for your business as well. Maybe you also have a storefront – so of course you have another means to promote your online business. But those ecommerce business that have a warehouse can also use outdoor signage to be visible to those that pass by your location. How about company vehicles? Use bumper stickers or vehicle wraps to promote your products and web site. 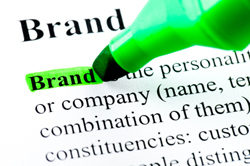 Last, but definitely not least is your brand. Do you have your own packaging with your logo and tagline? Do you mark the outside of your packages with your website and logo? Consider all the ways you can build brand awareness with your packages, signage, banners and more. Don’t forget to include business cards with your logo and contact information – they help build your brand for very little effort and money! QR codes that lead visitors to your web site (or even a special page with a discount) can be very effective for building brand recognition and sales. So how did your e-commerce business rank? What does extreme networking look like? At last week’s ASD trade show in Las Vegas, our partner Vendio hosted a night of ‘extreme networking’ in the IMA’s hospitality suite. Even without the fine selection of gourmet cheeses and generous supply of wine, this night would qualify as a major success for anyone in e-commerce. 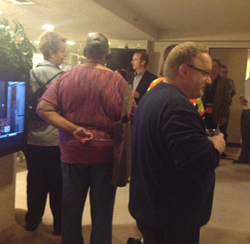 Over 100 people came through our hospitality suite doors that evening armed with business cards and a willingness to mingle. One of the most popular questions that was asked was ‘So where do you sell online?” and usually followed up with “What do you sell?” When the ecommerce merchants weren’t chatting with their fellow sellers, they were seeking out the advice of service providers like Alibaba, Vendio, SingleFeed, M-Shopper and TextBroker. Do you want to be a part of our next networking event in Las Vegas? Head over to the IMA website and click on ‘Join Us’. It’s FREE to join the IMA as an ecommerce seller! Be sure to also check out our newly launched Facebook Group where there is a ton of great information shared every day. And get ready to join us in Las Vegas during the next ASD show when we will again be getting together with our members and business partners for another extreme networking event. Join us for an evening of wine, cheese and extreme networking at Bally’s in Las Vegas (suite number to be announced at the IMA educational seminars to be held at the Las Vegas Convention Center, South Hall Rm #S225) on Monday, March 18th, 2013 from 7:00pm to 10:00pm. What is ‘Extreme Networking’? IMA members love to attend the ASD show so they can do just that – network with other ecommerce sellers and service providers. Some IMA members will tell you that the knowledge they receive from networking at our hospitality suite is worth the trip out to Las Vegas every year! Better yet – we suggest you come up and ask them yourself! This year, our Monday night hospitality suite is sponsored by Vendio, a long-time partner of the IMA. Vendio would love to welcome you to the hospitality suite on Monday, March 18th. Stop by the educational seminars hosted by the IMA at the Las Vegas Convention Center during the day on Monday (South Hall, Room S225) to find out the suite number. We hope to see you there! Selling to customers online can be compared to having multiple store locations in the offline world. If you are selling on one online venue, it’s probably time you considered diversifying. Just as with brick and mortar businesses, your online business can grow exponentially the more locations you have. Mike Effle, CEO at Vendio, will help you discover the most effective ways to use eBay, Amazon and your own web site to boost your online sales. Join Mike, a long time industry veteran as he guides you in developing a strong online marketing strategy that will make your online presence known and your sales soar. Using Google Shopping may be the best way to get your products noticed. With so many changes to the comparison shopping search landscape, Liam Supple of SingleFeed will show you some expert techniques for getting your products indexed into Google Shopping for the maximum impact. Getting your products found on the internet is tough! If you are ready to submit your product listings to Google Shopping, then you owe it to yourself to attend this session with Liam Supple of SingleFeed. The reality of competing against Big Box Stores is that there are some things you will never beat them on but there are just as many strategies that you can implement where you can have the upper hand! Join Harry Hirschman, Vice-President of Marketing and Business Development for Vendio as he discusses the ‘Showrooming’ phenomena and how you can win business from the Big Box stores. Harry will help you understand the strengths and weaknesses of the Big Box Retailers and what you can do as a small to medium sized business to up your game. Raising funds is something most businesses don’t like to do. Sometimes it’s because the lending landscape has changed and it appears difficult – if not impossible – to raise capital and sometimes the reason is that small businesses don’t believe they should be raising funds at all. Marc Gorlin, the co-founder and Chairman of Kabbage will present some case studies of growing businesses and how and why they raised the capital to fund the expansion of their businesses. Building a web site is easy; building a GREAT web site that has all the features that customers like takes some skill and knowledge. Even if you think your web site already has it all, Rick Wilson, President of Miva Merchant has some ideas and suggestions for creating the kind of web site that customers have to come to expect in ecommerce shopping – and the kind of web site that will help you devour your competition. We love knowing that customers are visiting our ecommerce site, but how do we turn a browser into a buyer? For most ecommerce web sites, less than 4% of all visitors actually make a purchase. So how can you increase your sales conversion rate when the odds are against you? With over 13 years in ecommerce, Rick has the expertise to help guide you – and your buyers – in the right direction. Maybe you’ve heard about comparison shopping engines and want to learn more. Perhaps you’ve never even considered them for your ecommerce web site. In either case, this is the session for you to attend to learn the basics of comparison shopping engines. In this beginner to intermediate level class, SingleFeeds’ Liam Supple will give you the knowledge you need, teach you the ins and outs of comparison shopping engines and show you some expert techniques to getting your product indexed on the comparison shopping engines. Your web site needs to be accessible and usable for everyone even as the number of devices, platforms and browsers that are used to access it continue to expand every day. Incorporating a responsive web design represents a fundamental shift in how web sites are built now – and into the future. Join Rick Wilson, President of Miva Merchant as he discusses the explosive growth in tablets and how you need to be making changes to your site now along with things you need to consider as you redesign your ecommerce web site in the future. Personal Credit vs Business Credit – What’s the right type to grow my business? Many small businesses rely on their own credit to fund their business. But when is it prudent to consider a business loan? And what are the differences between business credit and personal credit? Most businesses find that it’s important to maintain a business credit profile that is distinctly separate from your personal credit profile. Building separation between the two can help your business develop the credibility that matters to banks, suppliers, and other creditors. Join Marc Gorlin, co-founder of Kabbage as he discusses the differences between the two so you can decide which one is right for you. According to data from the US Census Bureau, more than 74% of electronics are purchase online, followed closely by 74% of music and videos. Surprisingly, furniture, which many ecommerce sellers shy away from selling for logistic reasons is in 3rd place (65%) with the massive clothing category right behind furniture. What categories could you be expanding into to take advantage of the enormous growth in ecommerce?